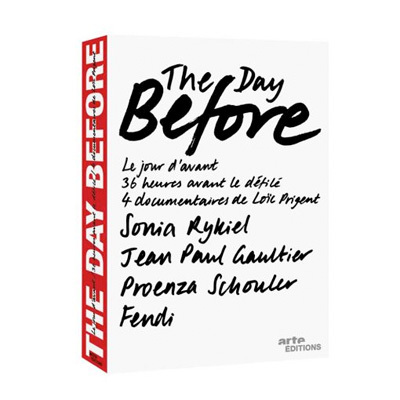 In preview at colette, "The Day Before" a box series published by Arte and directed by Loïc Prigent. Four documentaries where the journalist films the daily life of a fashion brand, 36 hours before their fashion shows. Experience the rhythm of Sonia Rykiel, Jean-Paul Gaultier, Fendi by Karl Lagerfeld and New Yorkers Proenza Schouler. "The Day Before" is a series where we find the intensity of life, with moments of joy, stress, humor and anxiety. An anthem to fashion, an ode to life, presented on preview at colette for 3 weeks from January 15.